During annual meeting of Central Kentucky Education Association in Hiram Brock Auditorium. Eastern Kentucky State College. Pictured l-r are: (front row) Casper Hill, J.D. Farris, Cecil Sanders, Ted Sanford, William F. O'Donnell, Lula Madeline O'Donnell, Thomas B. McGregor, Russell I. Todd, Flem D. Sampson; (second row) John Ed McConnell, Margaret O'Donnell, Loraine O'Donnell Miller, H.A. Cocanougher, Garland Purdom, Sara Thomas, Frank Ogden, Robert Lee Mills, Charles Graham, R.B. Atwood; (third row) Elizabeth Dennis, C.H. Purdom, C.R. Hager, William Russell, Dorcas Willis, Helen Reed, K.C. Gillespie, William Conkright, Florence Embry. “Honoring Dr. W.F. 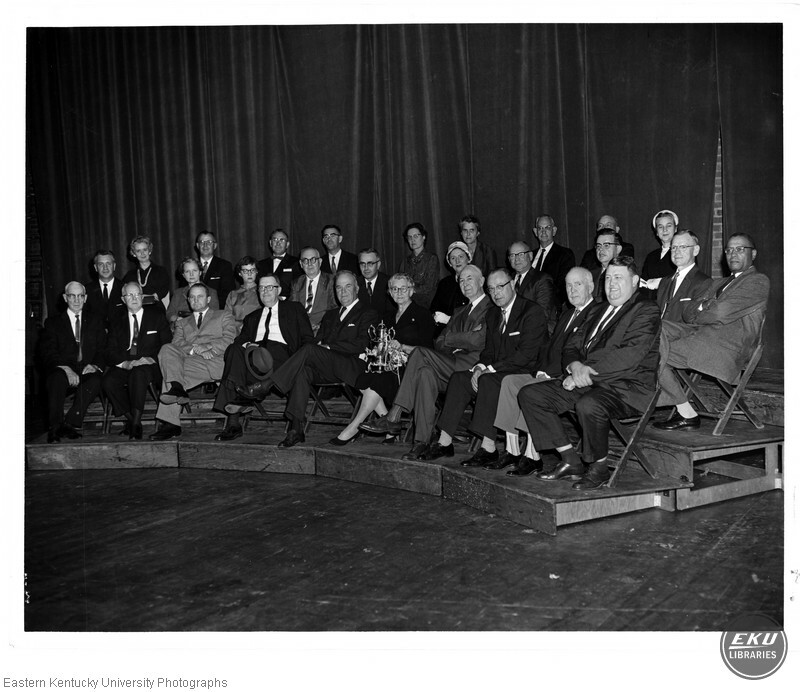 O'Donnell, President of Eastern,” Digital Collections, accessed April 25, 2019, https://digitalcollections.eku.edu/items/show/41784.